Security cameras that watch you, and predict what youll do next, sound like science fiction. But a team from Carnegie Mellon University says their computerized surveillance software will be capable of eventually predicting what youre going to do. Computerized surveillance can predict what people will do next  its called activity forecasting  and eventually sound the alarm if the action is not permitted. Click for larger image. Computer software programmed to detect and report illicit behavior could eventually replace the fallible humans who monitor surveillance cameras. The U.S. government has funded the development of so-called automatic video surveillance technology by a pair of Carnegie Mellon University researchers who disclosed details about their work this week  including that it has an ultimate goal of predicting what people will do in the future. The main applications are in video surveillance, both civil and military, Alessandro Oltramari, a postdoctoral researcher at Carnegie Mellon who has a Ph.D. from Italys University of Trento, told CNET yesterday. 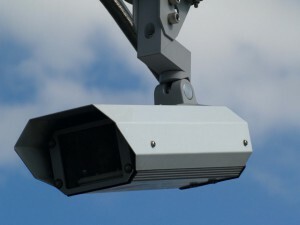 Oltramari and fellow researcher Christian Lebiere say automatic video surveillance can monitor camera feeds for suspicious activities like someone at an airport or bus station abandoning a bag for more than a few minutes. In this specific case, the goal for our system would have been to detect the anomalous behavior, Oltramari says. Think of it as a much, much smarter version of a red light camera: the unblinking eye of computer software that monitors dozens or even thousands of security camera feeds could catch illicit activities that human operators  who are expensive and can be distracted or sleepy  would miss. It could also, depending on how its implemented, raise similar privacy and civil liberty concerns. Their Army-funded research, Oltramari and Lebiere claim, can go further than merely recognizing whether any illicit activities are currently taking place. It will, they say, be capable of eventually predicting whats going to happen next. This approach relies heavily on advances by machine vision researchers, who have made remarkable strides in last few decades in recognizing stationary and moving objects and their properties. Its the same vein of work that led to Googles self-driving cars, face recognition software used on Facebook and Picasa, and consumer electronics like Microsofts Kinect. When it works well, machine vision can detect objects and people  call them nouns  that are on the other side of the cameras lens. But to figure out what these nouns are doing, or are allowed to do, you need the computer science equivalent of verbs. And thats where Oltramari and Lebiere have built on the work of other Carnegie Mellon researchers to create what they call a cognitive engine that can understand the rules by which nouns and verbs are allowed to interact. Both projects are components of Carnegie Mellons Minds Eye architecture, a DARPA-created project that aims to develop smart cameras for machine-based visual intelligence.